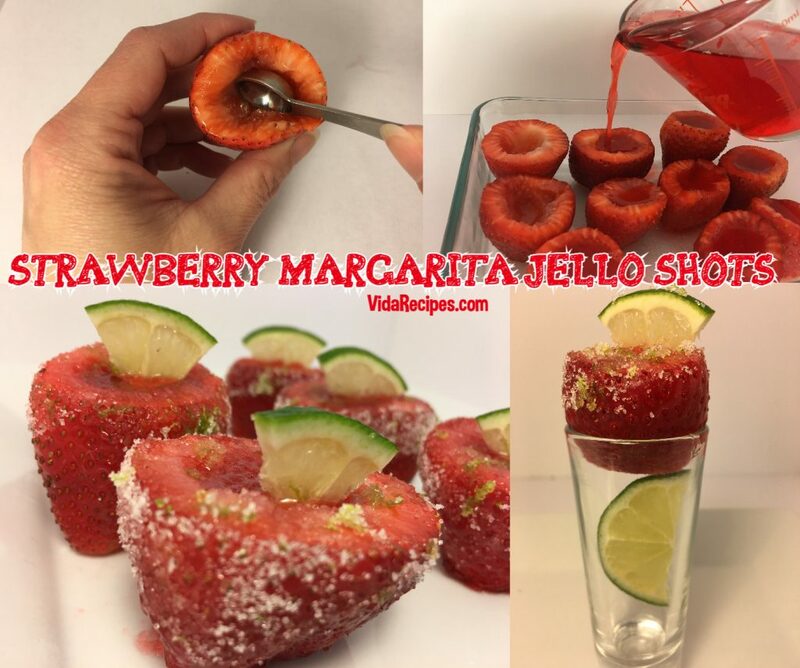 I have so many requests for this jello shot recipe! Perfect for your next party and so delicious! These are not your average jello shots, they’re better! 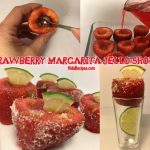 I get so many requests for jello shots and I have posted an extensive list of 70 Jello Shots on my blog for your enjoyment! These strawberries ones are fun to make because you actually fill the strawberries with with your jello mixture. Then you can eat the whole thing and enjoy a yummy strawberry along with your shooter mixture. How cool is that? These will be the hit of your next party, your guests will LOVE these! Make lots because they go super quick! The recipe calls for tequila but you can use any choice liquor for these. Another popular way to make them is to use vodka or rum, which is also super yummy! Measure out your liquor and store in the refrigerator till your ready to use. Next you need to get your strawberries' washed and you want to pat them dry with paper towel. Boil your water and add Jell-O and stir until dissolved. Stir in chilled liquor. Pour into your strawberries. Tip - You can place strawberries in ice cube trays or an egg carton so they don't fall over. Store them in the fridge and serve up as needed! Place a small bowl of Cointreau salt in a convenient place to dip the rims for garnish when your ready to have a shot! NEED TO SHOP For the strawberries!